Don't let lack of oven space get you "stressed" during the holidays. 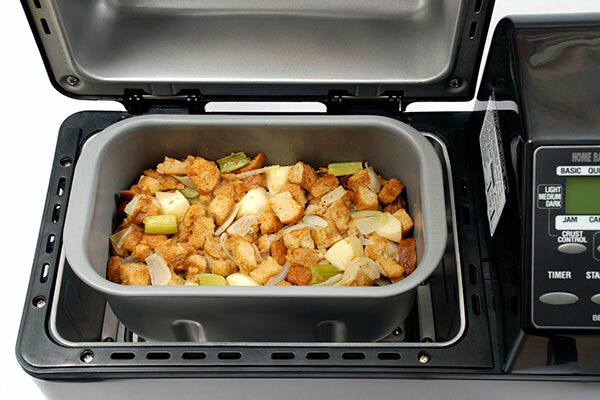 Turn to your Home Bakery breadmaker to bake your favorite stuffing. Here's our "tried and tested" favorite, but don't hesitate to adapt your own family's favorite recipes! Just bypass the preheating kneading and rising cycles by following our simple instructions. 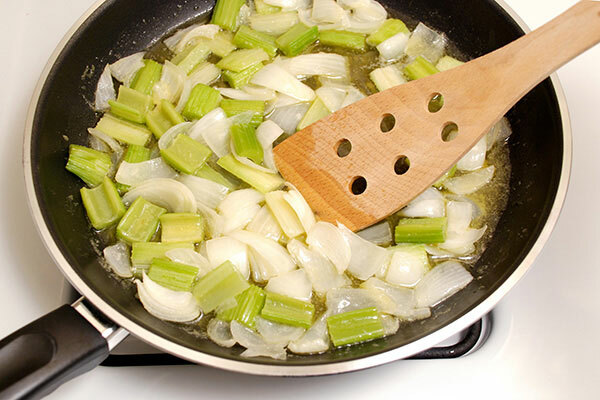 Cook the onion, celery and butter in a skillet over medium heat until tender. Stir in the seasonings. 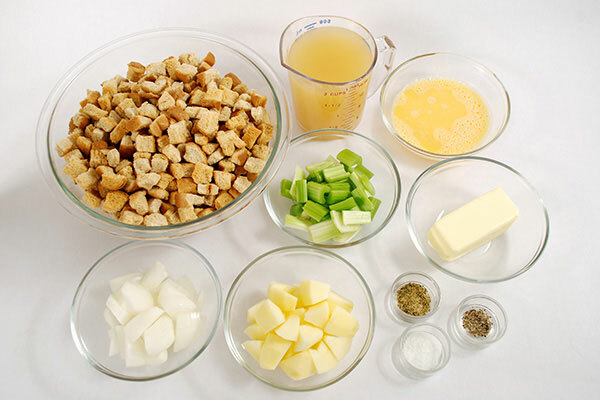 In a large bowl, add the onion mixture, broth and the bread cubes and toss to mix. 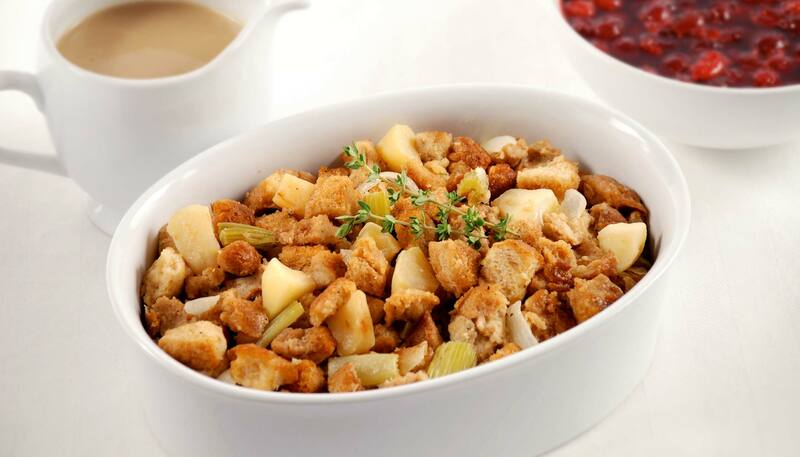 Add beaten eggs and apple to the bread mixture. Remove the kneading blades from the baking pan, and pour the mixture into the pan. Select the HOME MADE course on the breadmaker. Press CYCLE turning OFF the following: Preheat, Knead and Rise cycles. 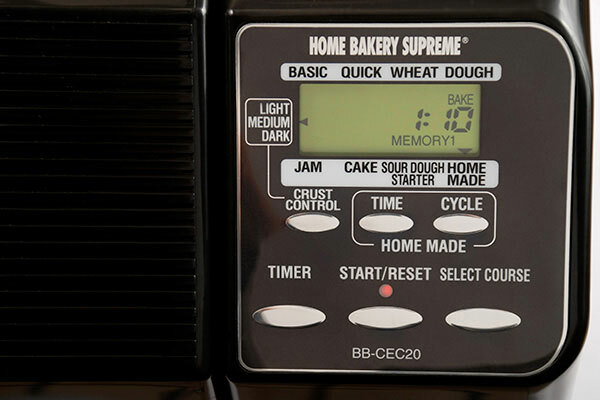 Select BAKE cycle. Press and hold TIME until the display shows 1:10. Then press CYCLE twice to record. Press START twice to begin baking. Verify that the red START light is lit at this point. Once baking completes, remove from the pan and serve. This recipe can be modified by adding cooked sausages or mushrooms. 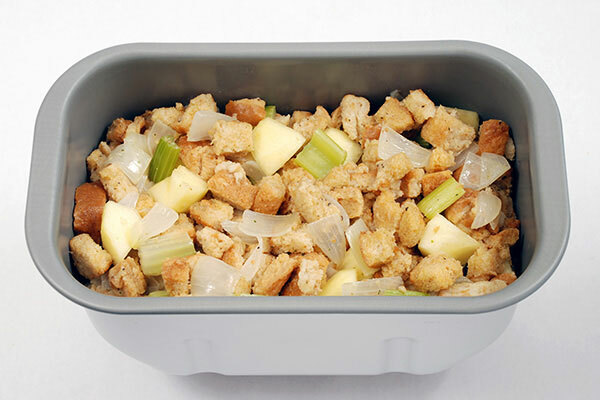 You can even use your own stuffing recipe and follow the above guidelines.